Have you put aside some money in a savings account or high interest savings account that you have put aside and are not making transactions on? Well beware of you could find the funds get nabbed by the Government when after 3 years they qualify as a “Dormant Account“. 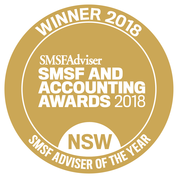 I was alerted to this by an Accountant friend who held some of their SMSF money in an online high interest savings account and had parked a fixed amount there for more than 3 years as it was earmarked for a specific future use. Low and behold the Government nabbed it as it qualified as a Dormant Account. It was not some minor amount either as it was over $10K! So if you have such an account look after your interests and make a small transaction yearly to ensure it remains “Active”. As little as 1 cent being transferred in or out will keep the account as on Active status. As a Trustee it’s your duty to look after the money of the Self Managed Super Fund and to take reasonable care to protect it.. The client has not met a condition of release so the money is restricted and should not leave the fund so the question is has this money left the superannuation system or not? 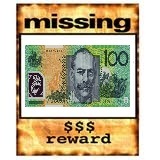 Further, if the funds are to be claimed back with this good online provider is arranging asap, as the funds will be coming from outside of the SMSF fund will they be considered a form of contribution? 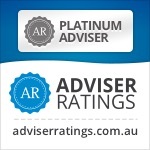 Want a Superannuation Review or are you just looking for an adviser that will keep you up to date and provide guidance and tips like in this blog? Then why now contact me at our Castle Hill or Windsor office in Northwest Sydney to arrange a one on one consultation. Just click the Schedule Now button up on the left to find the appointment options. Do it! make 2016 the year to get organised or it will be 2026 before you know it.